HRH Princess Caroline has taken off for a little winter holiday in Zürs. Little Princess Alexandra of Hanover, ready to hit the slopes. 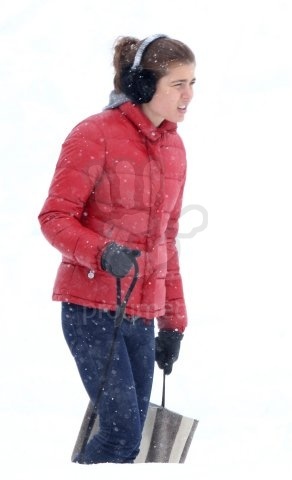 Charlotte Casiraghi, wearing one of her usual 'annoyed but cute' expressions. Well, the dog's not going to walk itself is it?